MUST USE PROMO CODE "FREESHIP" WHEN CHECKING OUT. FREE STANDARD SHIPPING on any online purchase for Salons and Home Users to the contiguous states. Distributors are excluded from this promotion. Free shipping offer is limited to USPS First Class or Priority Mail shipping ONLY. 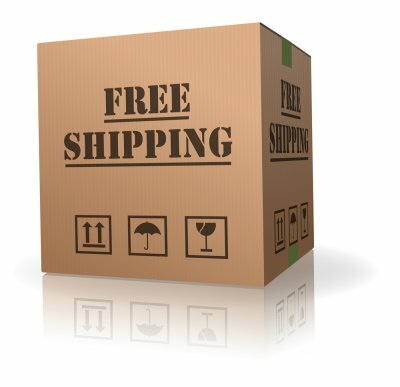 Free Shipping offer is not valid on Derm Exclusive purchases, prior purchases, orders going to AK, HI, P.O. Boxes, APO, FPO or International orders. Nailfiles.com reserves the right to end or modify this promo at anytime. SAME DAY SHIPPING: If you order on a business day and the order is received before 11 A.M. (Mountain Standard Time) we will try our best to ship your order that same day. Any orders placed after 11 A.M. (MST) will ship the next business day. Orders will not ship until payment for the order and shipping has been verified. All shipments are F.O.B. Cedar City, Utah. Orders will not be shipped on weekends or National Holidays. SAME DAY OR NEXT DAY SHIPPING IS NOT GUARANTEED. If your item is not in-stock, you will be notified by e-mail that there will be delay in shipping your order. If your order is urgent, please contact us by phone or e-mail and we will try our best to accommodate your needs. Your shipping/handling fee is determined by the parcel's weight and destination. Some orders are shipped in multiple parcels. Please be aware that shipments via UPS are easily tracked online. In our experience, UPS has been very responsive should a package go astray. For most of their shipping options, UPS has a guaranteed delivery time.